It’s Time D-Heads! Let’s get creepy, scary, have fun with racoons and turn blue because this week we welcome JOHN KASSIR to the show! 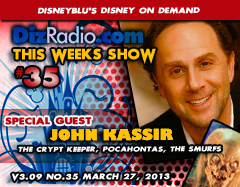 John Kassir, best known as the iconic Crypt Keeper from Tales from the Crypt is stopping into the show to talk about the icon character, working on other projects such as Race to Witch Mountain, Jack the Giant Slayer, The Smurfs, and being Meeko in Pocahontas! 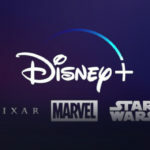 In addition, we have a ton of Disney News hot off the D-Wire from The Party, the Parks, Movies and more! The D-Team is back with Lexie, our D-Team Member from Down Under as she uncovers more about our Special Guest John Kassir. 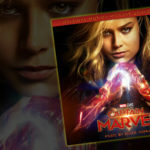 Jason returns to The Vault bringing you a new DVD and Blu-Ray to add to your collection and more. This is all kinds of fun Magic and Memories here this week. So as the Crypt Keeper would say, get ready kiddies!